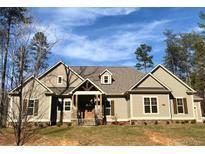 Find Maiden, NC New Homes for sale. View Photos, Maps and MLS Data Now! Anderson Woods - Check it out, you won't be disappointed. MLS#3442060. Century 21 Town & Country Realty. Sherrills Ford School System, easy commute to Charlotte. MLS#3424908. Hecht Realty, Inc.
Carolina Terraces - Beautiful, Established Neighborhood w/ NO HOAs & NO Restrictions! MLS#3419713. Realty Executives of Hickory. These statistics are updated daily from the Carolina Multiple Listing Services, Inc. For further analysis or to obtain statistics not shown below please call Highgarden Real Estate at 704-325-6609 and speak with one of our real estate consultants.